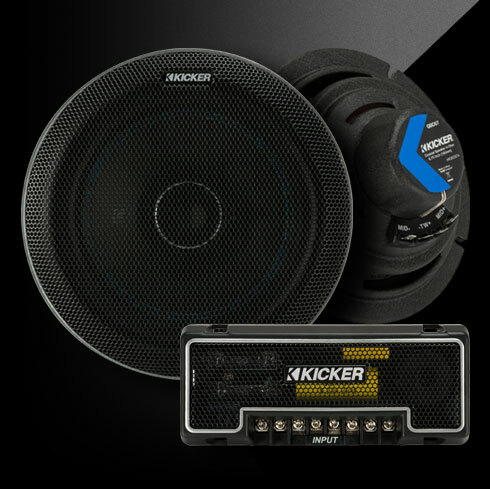 Our QSC Coaxial speakers are built to KICKER’s® highest acoustic standards. 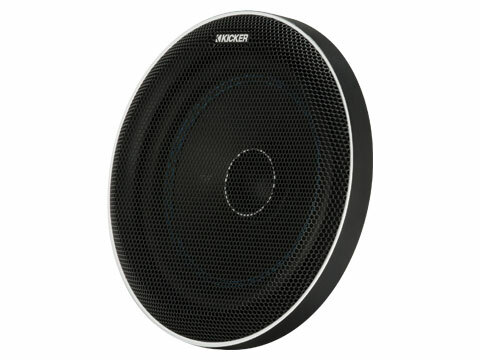 These 6-¾-inch point source drivers feature neodymium magnets on the woofer and tweeter, and are bi-amp capable. 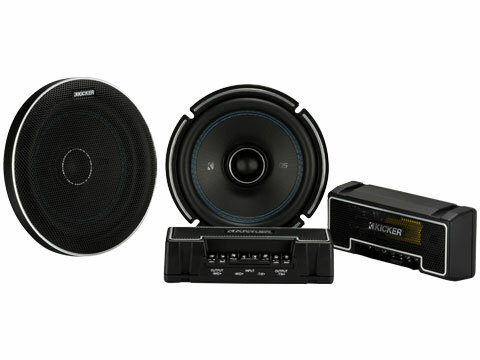 *Find additional fitment information below that is specific to these speakers. 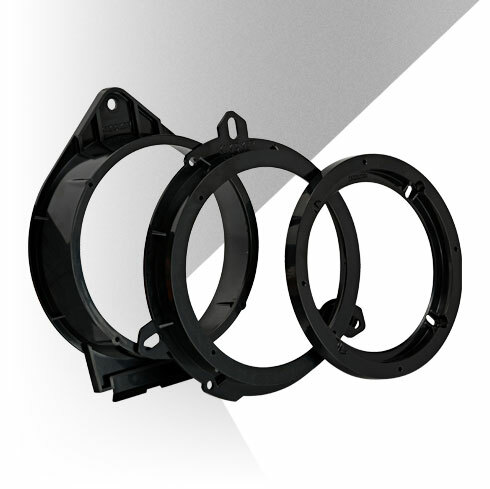 The QSC drivers includes a revolutionary 25mm Teteron® dome tweeter and custom wave guide for near perfect phase alignment for smooth frequency response. The injection-molded Polypropylene cone is impregnated with carbon-fiber for tight, accurate midrange. An NBR rubber surround provides superior damping, and complemented by KICKER’s signature blue double surround stitching. 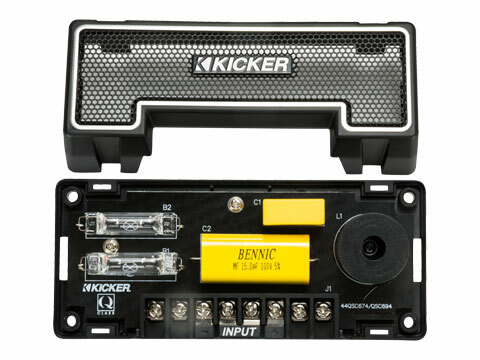 The independent 18dB crossover has been optimized for size, and features built-in tweeter protection. Utilizing Metallized Polypropylene capacitors, high-powered resistors and audiophile-grade air-core inductors, the crossover delivers outstanding overall sound quality and easy mounting in a door or under a seat. 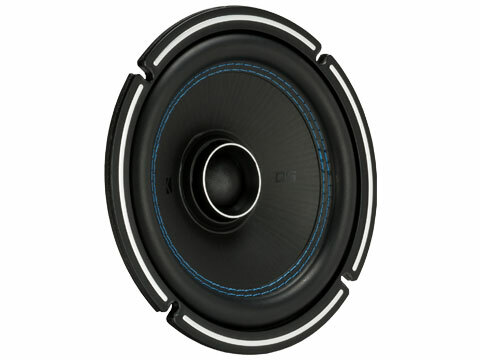 These QSC speakers work best with 100 watts of recommended power. See below for more details.